HTC reportedly said that it was going to be focusing on just one smartphone and it would be the upcoming U12 Plus, which is supposed to be announced on May 23. 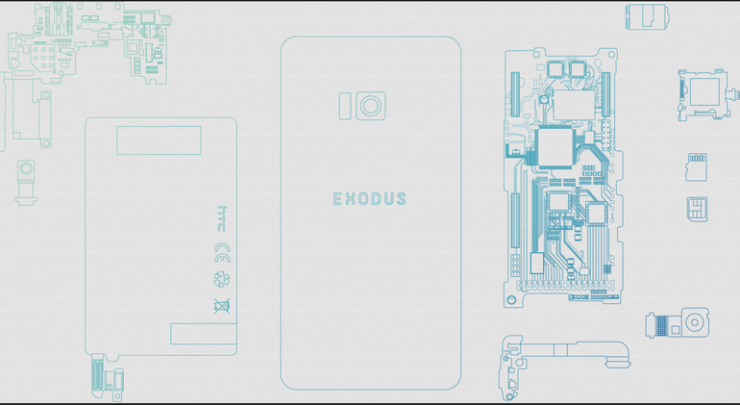 However, the Taiwanese manufacturer is also said to be preparing another Android smartphone but unlike the upcoming flagship, this one is going to be powered by blockchain technology. Here is what this technology means for HTC and the upcoming device. According to virtual reality headset Vive creator, Phil Chen, he will be responsible for all blockchain and cryptocurrency related initiatives of HTC including Exodus. The product drawings can be seen in the image above, showing a single rear camera but no back-mounted fingerprint reader. This could mean the smartphone features an in-display fingerprint scanner but we will have to wait and see what the final design looks like as they are subjected to change in the future. Blockchain smartphones offer better security and user experience in comparison to other devices. Such handsets also integrate cold wallet storage right into the phone, and enabling direct trading of the native cryptocurrency with peers on the phone’s network, without mining fees. We will have to wait and see how helpful blockchain smartphones are going to be for consumers but miners are certainly going to want a piece of this action. Pricing and availability of the HTC Exodus are currently not detailed but it will be arriving this year. It does not appear to be a flagship either, so it is possible that it sports a mid-ranged SoC from Qualcomm. All other details are kept in the dark right now, but we will be updating you with fresh pieces of information when they are available.